HomeCinemaMasalaIs Shah Rukh Khan and Kamal Haasan really playing a Cheap Publicity stunt? Is Shah Rukh Khan and Kamal Haasan really playing a Cheap Publicity stunt? In a panel discussion moderated by CNN IBN editor Rajdeep Sardesai, Maqsood Qasmi of the Imam Council commented that the ruckus around Kamal Hassan’s film Vishwaroopam was a gimmick created by the filmmaker himself “It is a cheap publicity stunt by Kamal Hassan,” said Maqsood Qasmi. Qasmi further raised an interesting question “When the Censor Board had already passed the film, Why Kamal Haasan called in for 40 Imam Council board people to view it? This amount of Publicity Mr.Haasan would never-ever had received by even spending a huge amount of money.” If i go back and do a little research, I find Kamal Haasan had a row of Flops before Vishwaroopam from Hey Ram (2000) to the last Unnaipol Oruvan (Tamil Remake of ‘A Wednesday’) (2010), None of his films created a stir at the Box office. When Vishwaroopam was in the making, His PR Strategy (Handled by Mr.Nikil Murugan) released a News which said the famous Cannes Film Festival bending it’s rule to screen Vishwaroopam. The news to me sounded very baseless, As The famous Film Festival might never do this to Al Pacino’s film. I personally contacted the Cannes Film Festival authorities by email, No response came from the Cannes Film Festivals. Kamal Haasan was also very adamant about releasing the film on DTH Platform. The distributors raised a strong objection and discussions were made. The film was passed by the Indian Censor Board and at the time of Distributors becoming upset by Kamal’s decision, This controversy about Muslim Group’s protesting erupts like a Volcano. Co-Incidentally, King Khan Shah Rukh Khan’s article about “Muslim’s in India” becomes the heat of the town exactly before 10 days of the film Vishwaroopam’s release. The entire Bollywood press and media starts talking about it. Shah Rukh Khan had earlier raised his voice on a similar issue exactly 15 to 20 days prior to the release of his super-hit My Name Is Khan. Shah Rukh Khan had worked with Kamal Haasan in the controversial Hey Ram way back in 2000. When SRK raised the ‘Akon’ party during the release of his Sci-Fi debacle ‘RaOne’, Kamal Haasan specially flies to Mumbai to attend the event (Pictures available on the Internet). 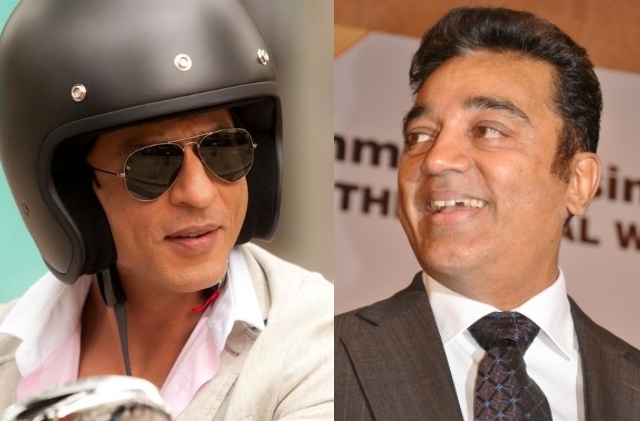 To cut the explaination short, King Khan and Kamal Haasan are good friends. 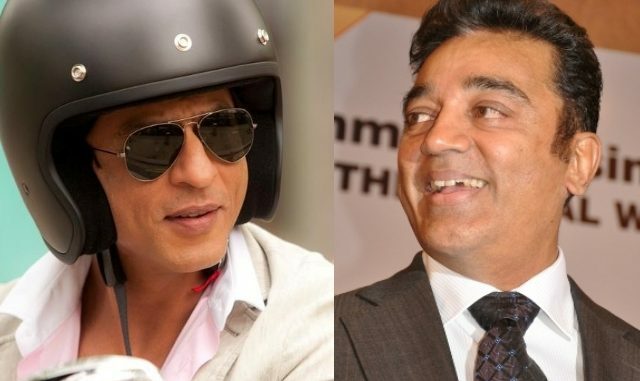 Let’s all agree with Mr.Mohan’s quotes and keep hoping for the best to happen for everyone as on one side it is King Khan Shah Rukh Khan whom we love, And on the other side it’s India’s best talent called Kamal Haasan.